In November of 2003, Brian Kotara took the helm at Davis Embroidery, Screen Printing and Promotional Products located in Ketchum Idaho. With professional experience as a CPA, Controller and VP of Business Development in various industries, Brian brings much know-how to the table. Most importantly, Brian believes investing in your company’s “team” and utilizing each employee’s natural talents within is a win-win for all. A number’s guy and well suited for his leadership position as President and Owner, Brian uses his skills in management, sales and accounting most effectively. A CPA with a BBA in Accounting from Texas A & M University, Brian is an active member of his local Chambers of Commerce – The Marketing Alliance and The Chamber, both within the Wood River Valley, Idaho. 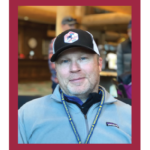 Brian is also an active participant with in the Sun Valley Economic Development group and gives back to his community in many ways. A former college football player, Brian donates his time and energy as a Youth Football Coach and volunteers with Children’s Ministry at his church. With two children away at a college, Brian and his wife, Carrie, live in Hailey, Idaho with their two dogs. When not working at the Davis Embroidery offices and showroom in Ketchum, Idaho, Brian can be found watching his alma mater – the Texas A&M Aggies – play football. He also enjoys skiing Bald Mountain in the winter and mountain biking and hiking in the summer. As co-owner at Davis Embroidery, Screen Printing, and Promotional Products, Carrie Kotara has always been present behind the scenes. In the fall of 2017, Carrie moved to the front and center of day-to-day operations. Focusing on customer service and sales, Carrie relies on her management, organizational and leadership skills. She brings many talents to the company. From her first day, Carrie has seamlessly integrated into the mix. Her experience in Human Resources for Goodwill Industries and Power Engineers has allowed her to instinctively understand the needs of her customers and her co-workers. With an empathetic ear and steadfast calm, Carrie guides clients through product and apparel selection towards the final delivery of a branded item. Her knack for open and interactive communication has made her an excellent team builder and dependable co-worker. If she sees a need, she steps in to offer help and solutions. Carrie knows how to get things finished while building trust and sustainable relationships. Carrie is vital to the team for support, and professionalism on all levels. With a degree in Sociology from the University of Texas-Austin, Carrie and Brian have two adult children in college. 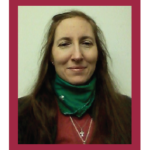 She enjoys hiking, trail running, gardening, reading, teaching Sunday school and being involved in the community. Carrie is a lifetime member of the Papoose Club, a coach for Girls on the Run, and a member of PEO – an organization focusing on advancing women in education. In April 2012, Deana Kaye began working with Davis Embroidery, Screen Printing and Promotional Products. Having started in production, Deana quickly became known for her outgoing personality, quick wit, attention to detail, and her willingness to lend a helping hand. She is and always has been an important part of how we get things done for our customers. 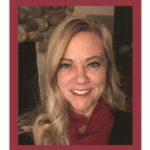 In January 2019, Deana accepted the position as Davis Embroidery’s Customer Service Manager. Deana is the smiling face greeting you when entering our Ketchum, Idaho showroom. Her previous experience as an embroidery machine technician and production supervisor fine-tuned Deana’s knowledge of the process in general including products, trends, and materials. Coupled with the fact that she is a fantastic seamstress, Deana offers our customers a unique perspective when communicating what they can expect in the process of branding apparel and promotional products. In her free time, Deana loves to spend time with her 3 children and close friends. She enjoys hiking, biking, snow shoeing, Nordic skiing, and crafting. She has been known to frequent local dance spots and weekend retreats. Something you might not know….Deana plays the viola for the Wood River Orchestra. She gives back to the community as a volunteer for the Sun Valley Wellness Festival, the Sun Valley Film Festival, Hailey’s Hope Garden, and at Mountain Humane. Kathy Worthington came to Davis Embroidery, Screen Printing, and Promotional Products in 2003. 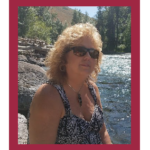 She is proficient in many different trades and a skilled multi-tasker at heart, Kathy has the natural ability to wear many hats and to wear them well. In addition, she enjoys being able to find palatable and functional solutions to just about any problem. This is clearly her gift. Kathy is an integral part of day to day operations at Davis Embroidery office and showroom located at 270 Northwood Way in Ketchum, Idaho. Kathy’s roles include Office Administrator, Art Department, IT Coordinator, and Sales and Customer Service Assistant. With varied, past and professional experience, Kathy is the consummate team player who does whatever it takes to get the job done well. Her greatest reward is simple and is found in the appreciation felt from satisfied customers. When not working at Davis Embroidery, Kathy enjoys computers, reading, music, family and working on old cars. She gives back to her community by supporting with Camp Rainbow Gold, Higher Ground and supporting and promoting Compassion International. 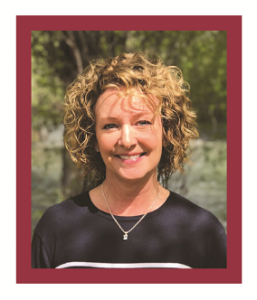 Being employed by Davis Embroidery, Screen Printing and Promotional Products the longest of any team member, Jody Shetler is known for putting her mind to tasks and getting things done. Since November 1992, her pivotal role in running the production department has included, management, overseeing digitalization, shipping and receiving as well as customer service. With over 20 years of industry related experience, Jody is well known for her steady and calm demeanor and as a self-starter. Jody is a Patagonia Certified Water Proofer and has professional memberships with the Advertising Specialties Industry and Melcoworld. When not busy working at Davis Embroidery, Jody enjoys spending time with family and friends. Her hobbies include painting, gardening and sewing. She gives back to her community by supporting wounded warriors that are part of the local chapter of Higher Ground.